Conventional screen histories tend to concentrate on New York City and Hollywood in chronicling the evolution of American cinema. Notwithstanding both cities' tremendous contribution, Syracuse and Central New York also played a strategic--yet little-known--role in early screen history. In 1889 in Rochester, New York, George Eastman registered a patent for perforated celluloid film, a development that would telescope the international race to record motion by means of photography to the immediate future. In addition, the first public film projection occurred in Syracuse, New York, in 1896. 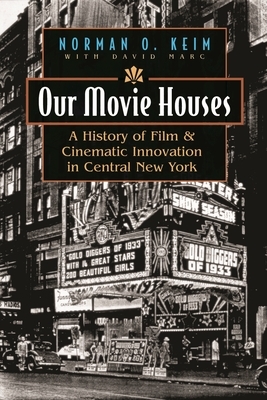 Norman O. Keim and David Marc provide a highly readable and richly detailed account of the origins of American film in Central New York, the colorful history of neighborhood theaters in Syracuse, and the famous film personalities who got their start in the unlikely snow belt of New York State. Lavishly illustrated, this book will be treasured by both film buffs and Central New Yorkers.